Humectant is a substance that is used to keep products moisturized and affects the preservation of items, which can be used in cosmetic products, food and tobacco. Humectant-rich formulation contains simple alcoholic sugar that can increase skin hydration and helps to remove and reduce thickness of skin. A humectant attracts and retains the moisture in the air nearby via absorption, drawing the water vapor into and/or beneath the organism/object's surface. By contrast, desiccants also attract ambient moisture, but adsorb—not absorb—it, by condensing the water vapor onto the surface, as a layer of film. Food: Glycerin and PEG are common humectants that helps to keep food moist and to have a longer preservation. Humectants take an important role of keeping food fresh, especially in ready-to-use food..
Tobacco: Humectants such as glycerol, propylene glycol, and triethylene glycol have been added to tobacco products to help processing of the tobacco leaf and to retain moisture. Different amount of humectants are add in different tobacco product types (cigarettes, water pipe… etc.). Cosmetic products: Humectants such as glycerin and propylene glycol are added in conditioner and shampoo to hydrate the hair, reducing frizz and increasing elasticity. Other Humectants such as Hyaluronic acid and Ceramides are widely used in cosmetic such as skin moisturizer. Natural humectants such as honey, Shea butter and jojoba oil can be use in cosmetics. Some common Humectants used in food are things like Honey and Glucose Syrup both for their water absorption and sweet flavor. Glucose Syrup also helps to retain the shape the product better than other alternatives, for a longer period of time. 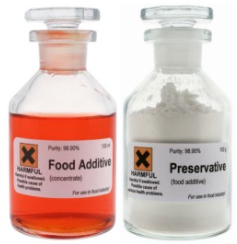 In addition, some Humectants are recognized in different countries as good food additives because of an the increase in nutritional value that they provide, such as Sodium Hexametapho. Humectants are used in stabilization of food products and lengthening shelf life through food and moisture control. A number of food items always need to be moist for safety issues, quality, and to have a longer shelf-life for particular food products.